A summery and satisfying lunch, this open faced tart cherry prosciutto sandwich will not disappoint with its salty-sweet combo. Thank you to the Cherry Marketing Institute for sponsoring this post! I’m always on the lookout for new easy lunch ideas – anyone else? Anything I make at lunch needs to come together quickly, as I’m either packing it while rushing out the door or making it when already hungry. As a result, I can tend to get into ruts and make the same things over and over just because it’s easy. 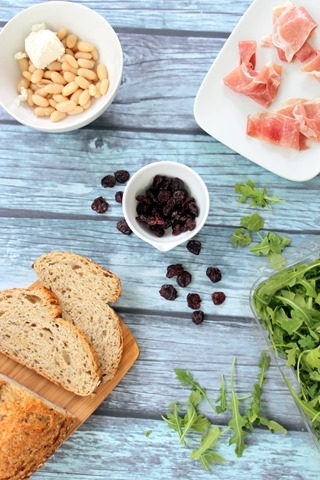 So for this month’s tart cherry themed post, I decided I would challenge myself to mix up my lunchbox with something creative and tasty but easy, too. The result ended up being as delicious as I’d hoped! Since the rest of my tart cherry recipes, with the exception of my Tart Cherry Kale and Feta Stuffed Chicken, have been on the sweeter side (see also: Tart Cherry Pie Snack Balls, Microwave Tart Cherry Oatmeal, Tart Cherry Sports Drink), I decided I should throw another savory one into the mix. 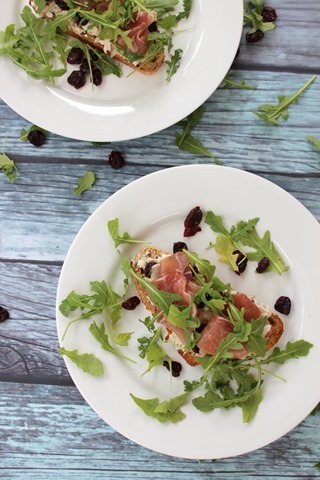 I love the salty sweet combo for meals and snacks, so I decided I’d incorporate dried tart cherries into an open-faced sandwich of sorts involving prosciutto – a sort of play on prosciutto and melon, another of my fave combos. To amp up the protein, I added some beans to the mix, and to turn them into a spreadable (and even more delicious) sandwich topper, I mixed them with goat cheese. Arugula, my favorite green, rounded things out with a pop of color – and some bonus nutrients. Step 1 of this sandwich is simply to toast the bread, because as far as I’m concerned toasted bread is approximately 1.5 thousand times more delicious than non-toasted bread. (That’s a scientific figure.) To amp up the deliciousness, I drizzled a little garlic olive oil on top before toasting – highly recommend doing this. If you don’t have garlic olive oil, you can use normal olive oil and a little garlic powder. 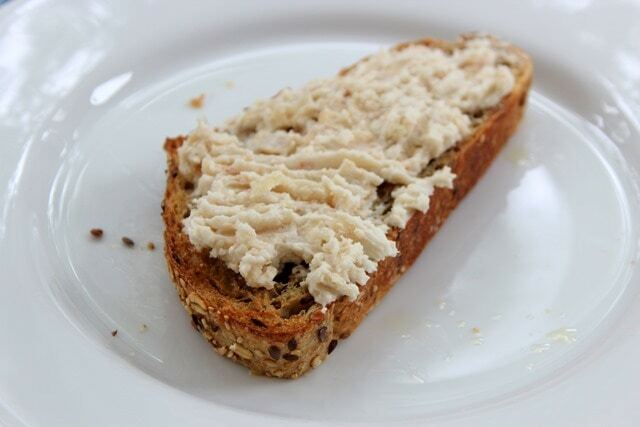 Next, mash together the beans and goat cheese and spread on the toasted bread. 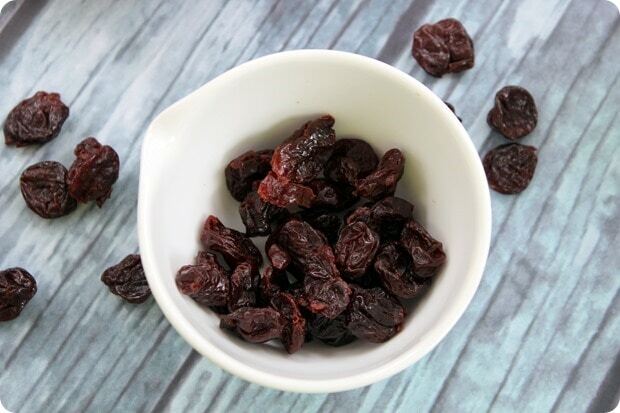 Then sprinkle on some dried tart cherries! In addition to being delicious, they also add some inflammation-busting anthocyanins to the mix, as you already know from last month’s sports nutrition-themed post (my Tart Cherry Sports Drink recipe). 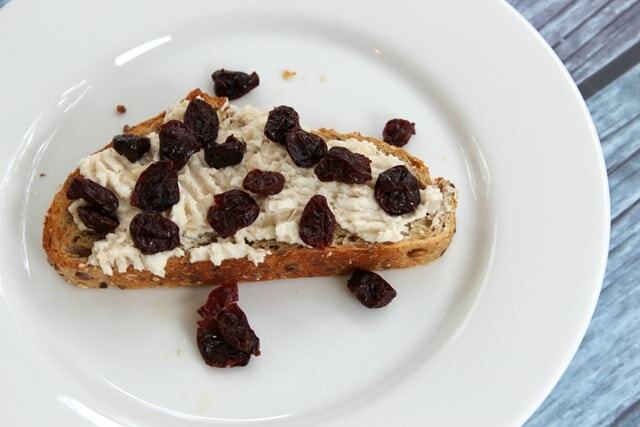 So this is an especially great lunch to have after a morning workout as the tart cherries can help speed up your recovery and ease muscle soreness! 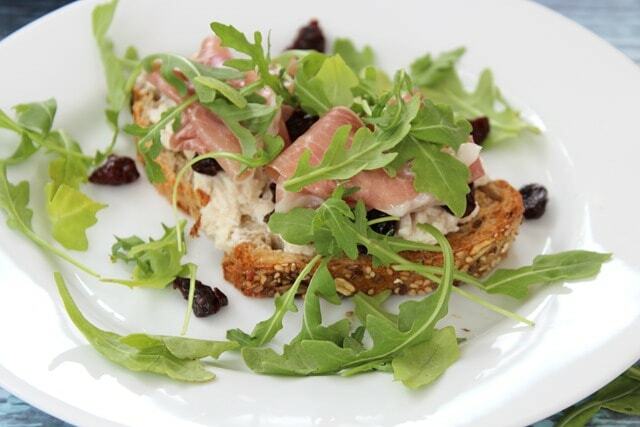 Followed by the arugula. And you’re ready to eat! Matt loved this lunch so much that he immediately made himself another one – although when he finished making it he realized he was actually full. Lol! These are more filling than they look. :) Lots of fiber and protein! 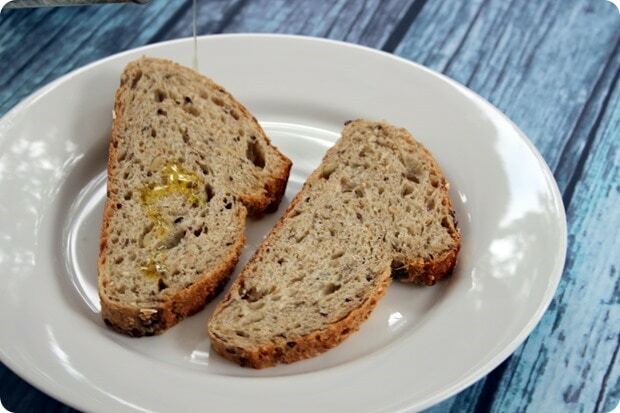 Drizzle bread with a little garlic olive oil (or olive oil + garlic powder) and toast until crunchy. In a bowl, mash together beans and goat cheese. Top both pieces of toasted bread with equal parts bean/goat cheese spread. 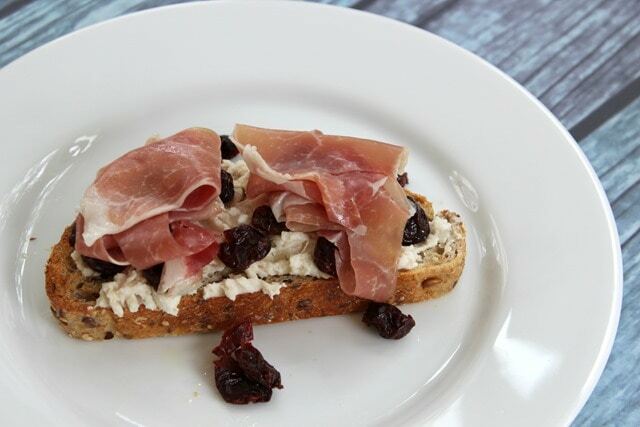 Divide tart cherries on top of beans/goat cheese, followed by 2 slices of prosciutto each. Sprinkle arugula on top of creation. Top with cracked pepper, if desired. Are you a salty-sweet fan? What salty or savory items have you paired tart cherries with before? Oh yum! I would totally swap in some turkey and call this good! Turkey would be a tasty swap! Wow, what an interesting combo. 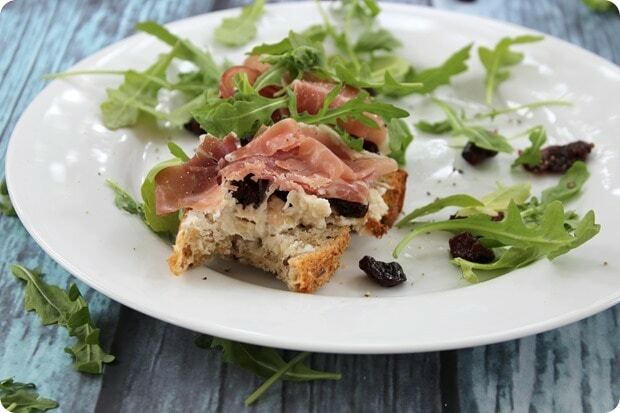 Goats cheese, prosciutto and cherries? Yum! Pinned and ready to try. Thank you. I made this exactly as written and ate it the last two days for lunch! It is scrumptious. 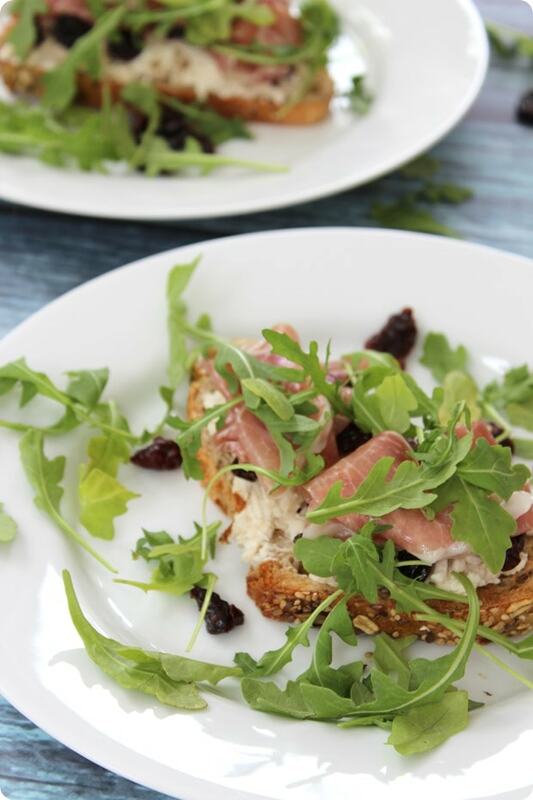 The cherries go nicely with the tangy goat cheese and the proscuitto rounds it off for a delish sweet and slightly salty combination. 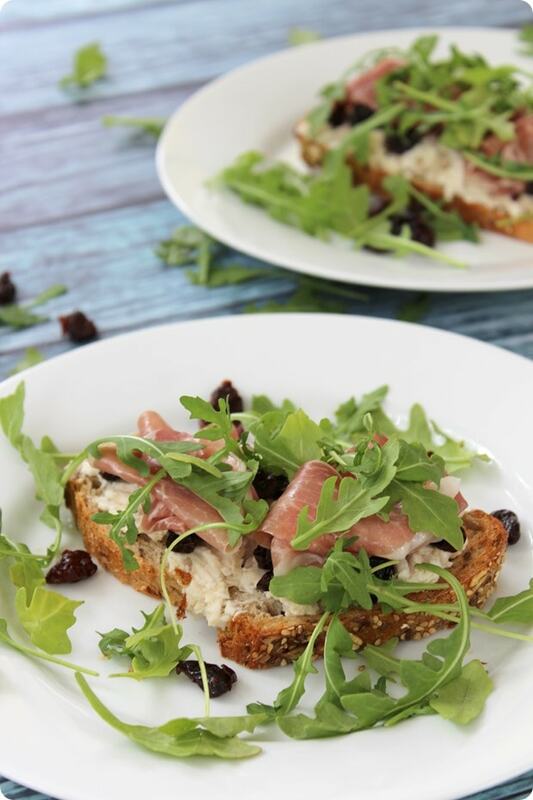 Thank you, Anne, for posting these great healthy, filling recipes!